How can this be you say? It sells well? yeah whatever! Newsflash: Have you seen how the black members are portrayed in this series? Lets go back to the issue which saw Idie Okonkwo debut. Storm is brain dead enough to leave soldiers outside to shoot at her later after rescuing a young mutant, said girl has never seen or heard of Storm who is a Black celebrity of the highest caliber in the marvel universe: x-man, Queen, Goddess, fantastic four member!? None of this ringing a bell?? 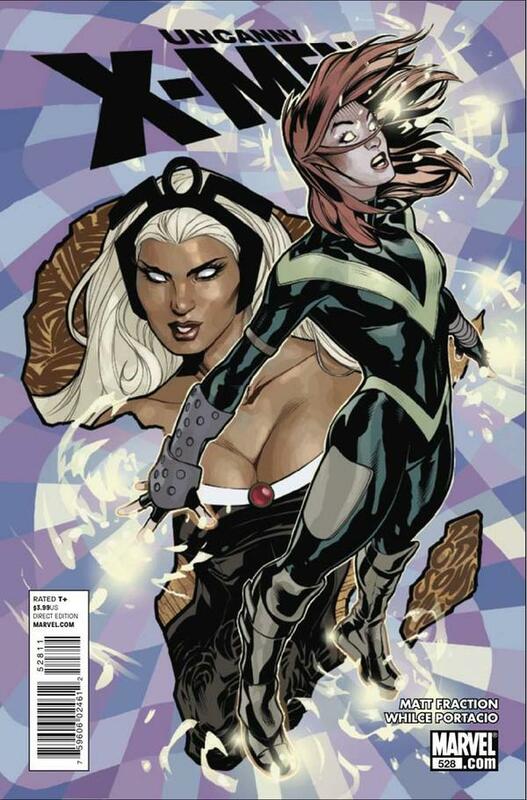 Storm is also reduced to “token black” on a team she once upon a time, lead! Her sole purpose to be black….to add variety to the otherwise white team! She has also done nothing of worth since the series started. While Wolverine and Cyclops bicker over leading the team she just sits there silent and stupid. To compound matters Idie who is supposed to be 12 looks like 24 in every art panel and lets not even talk about the 35 year old on the Greg Land Covers! (rolls eyes) no editor caught this? for shame!! and her powers? A cheap knockoff of a late 90’s villain Crux and even Angel Salvadore in new warriors had the same Mo! As for Cecelia Reyes? she shows up in an equally useless capacity like Gentle just to remind us that their are blacks on the team. Uncanny also has the honor of being the lowest scoring issue we had this year! Read the lunacy that was Uncanny X-men here. Stereotype that! !